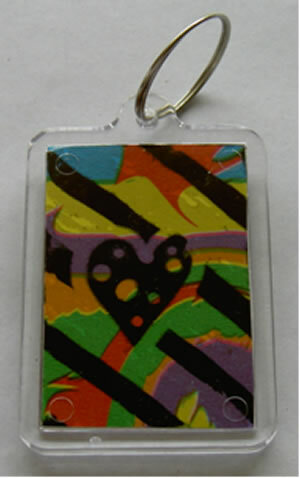 These keyrings are great and come complete with two blank inserts ready to be decorated. They are very easy for any child to make and can look fabulous, as well as this they are useful too. Insert size 50mm X 35mm.